Life insurance is never a fun topic of discussion. Ideally, you will live forever and never need to worry about life insurance. Unfortunately, that simply is not reality. Life insurance is about more than just leaving behind some money if you pass. It’s about protecting your assets, your family, and your legacy. While the life insurance discussion may be uncomfortable, it’s an important one. Of course, whenever the life insurance discussion comes up, people begin to think insurance salespeople are just out to sell the biggest policy they can, collect their commission, and then move on to the next sale. Those salespeople are often the exception and not the norm. In any case, equipping yourself with the right knowledge about life insurance can help you make an informed decision that works for yourself and your family. 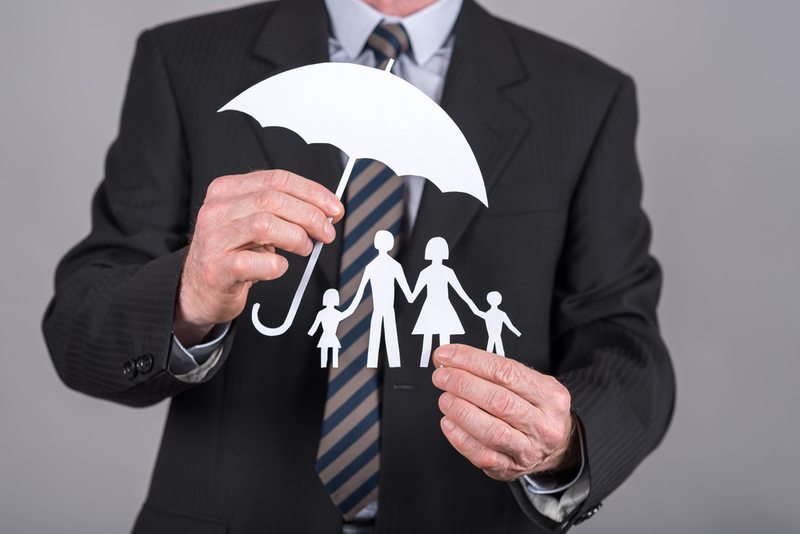 So, how do you determine how much life insurance coverage you actually need? There are a few things to consider. How Much Debt Do You Need to Pay Off? One of the first things to look at is the debt that you want to pay off using your life insurance policy. Mortgage debt, credit card debt, and vehicle loans are some of the big considerations. This is especially true if you will have a surviving spouse or children that will continue living in the home. Your life insurance policy could allow them to live mortgage-free or take a substantial chunk out of the balance owing. If debts are not covered by a life insurance payout then they will often be paid by proceeds from the estate before anything is disbursed to family or friends. Considering that 73% of Americans pass away while still holding debt, life insurance is essential to ensure that your savings and belongings get to the people you love. Do You Have a Business to Protect? A lot of small businesses are funded by personal debt. For small business owners, personal and business cash flow often become intertwined. Also, many businesses simply fail to exist without the owner who often acts as customer service manager, marketing manager, and accountant as well. Do you hope to pass your business along to family, friends, or employees? Will your existing debt make doing so difficult or impossible? Life insurance coverage for business debts as well as personal debts may be required to ensure a smooth transition and the continuation of your business legacy. Do You Need to Replace Your Salary? People who have families, especially those with children, often need to consider replacing their salary with a life insurance payout to ensure that their family can enjoy the same quality of life. The size of your family, the age of your children, and how far away from retirement your spouse is are all factors to consider when estimating how much salary you will need to replace. People with younger children may want to account for up to 10 years of salary in addition to paying off debts when determining how much life insurance they need. Those who only need to look after their spouse for a short time may only seek to replace a few years of their salary. You may want to make a budget to determine monthly expenses. Also account for lifestyle changes in this exercise. Will your spouse continue to work? Will they take time away from work? Will your family potentially move to be closer to other family members? All of this should be considered when budgeting. If needed, try using budgeting software to help you with the exercise or sit down with a financial advisor. What Else Do You Hope to Leave Behind? Even after covering debts, protecting your business, and replacing your salary, you may find that you want to do more with your life insurance policy. Those with children may want to ensure that their policy pays for college education. Other people may want to donate to charity with a portion of their payout. All of the previous steps in determining how much life insurance you need are essentially just covering the absolute basics. This is the step where you consider all of the extras and how much money would be needed to reach those goals. Balancing those goals with your budget is important. Having life insurance is necessary but you don’t want your monthly premiums to put a strain on your budget while you’re still alive. You have now accounted for debts, salary replacement, and additional costs. This will give you a rough idea of how much life insurance coverage you need to achieve all of your wishes and ensure your family does not experience additional hardship in the event of your passing. If you have life insurance attached to any loans then you may be able to make some reductions in the additional coverage you need over and above what you already have. Some employer benefit plans offer life insurance as well but the payouts are often low and cannot be relied upon as the only form of life insurance for most people. Mooney Lyons has been working with clients to help them take control of their entire financial picture including life insurance needs. Our expert advisors can connect with you and consider your needs to help you find the life insurance policy that will meet your expectations. Take the opportunity to contact us today and have a Mooney Lyons advisor examine your existing insurance, discuss the coverage amount you need, and help create a personalized solution that protects your family’s financial future.